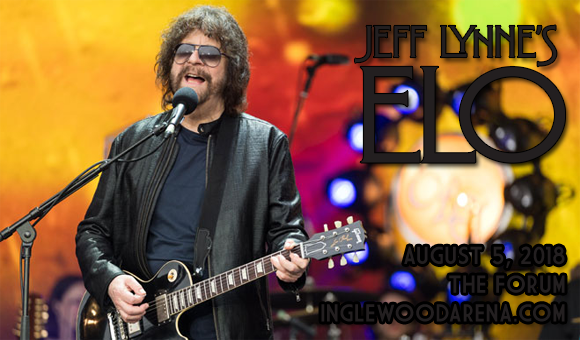 For the second night in a row, world-famous orchestral rock band Jeff Lynne's Electric Light Orchestra are headed to The Forum on Sunday 5th August 2018! The prog-pop pioneers will be performing hit songs from their four-decade career, including classics like "Telephone Line"! Don't miss your chance to see this inspirational band live! Founded in Birmingham, English rock band ELO formed in 1970, and originally consisted of songwriters/multi-instrumentalists Jeff Lynne and Roy Wood, and drummer Bev Bevan. Wood left in 1972, and Lynne subsequently became band leader, writing most of the band's original material and arranging and producing all of their albums. Throughout the 1970s and 1980s, ELO released several top 10 albums and singles, including two LPs that reached the top of British charts: Discovery (1979) and Time (1981). Between 1972 and 1986, the band accumulated twenty Top 20 songs on the UK Singles Chart, and fifteen Top 20 songs on the US Billboard Hot 100. The ELO line-up of Wood, Lynne, Bevan, and Tandy was inducted into the Rock and Roll Hall of Fame in 2017.